Is Sago the Same as Tapioca Pearl? Strictly speaking, sago is made with the starch from the pith of an array of tropical palm trees. Tapioca pearls, on the other hand, are made with tapioca or the starch from cassava, a root crop. Using either starch is not always interchangeable. The chewy balls that the world has fallen in love with since the advent of bubble tea are tapioca balls. And although some claim that sago balls are larger than tapioca pearls, it just isn't true that one can easily tell the difference between sago and tapioca pearls by their size. Both are sold in different sizes, colors, and flavors. To make sure whether you're buying sago or tapioca pearls, check the ingredients list in the packaging. In most parts of Southeast Asia, tapioca pearls can be bought already cooked and ready for use. 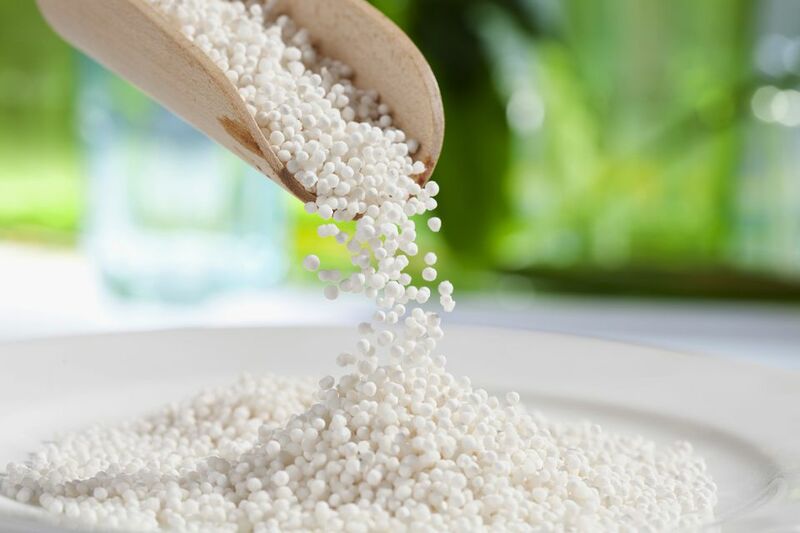 For the rest of the world, tapioca pearls are sold in dried form and require boiling before use. Is the color of the tapioca pearl based on its flavor? Not always. In most cases, the coloring is artificial and only meant for visual excitement. If artificial food color is something that scares you, go for the white tapioca pearls. White is their natural color because they are made from starch. They are neutral-tasting as well because starch, although it has a distinct sensation in the mouth, does not really have any memorable flavor. In its dried form, a tapioca pearl is white and opaque. After cooking, the sphere swells to almost twice its original size and becomes translucent. Some cooks insist that tapioca pearls must be soaked in cold water before boiling. But this seems counterproductive because the starch starts to dissolve in cold water immediately upon contact and the pearls lose their shape even before they reach the stove. It's the same principle when using tapioca starch in powder form. Add a teaspoon of tapioca starch to room-temperature water and the starch mixes into the water. But drop a teaspoon of tapioca starch into hot water and it will form into a lump. So, unless you're making a pudding with your tapioca pearls, skip the soaking part. Add them to the water only AFTER the water has reached boiling point. Make sure the tapioca pearls boil in plenty of water. Four cups of water for every cup of dried tapioca pearls is a good starting point. More won't hurt but less water is not recommended. Bring 4 cups of water to a boil. Add 1 cup of tapioca pearls, stir and bring back to the boil. Reduce heat to a simmer and cook, stirring often, until the pearls are translucent. The tapioca pearls never cook all at the same time. Some will still have an opaque center when most are fully translucent and that is OK.
Take the pan off the heat when most of the pearls are translucent. Strain off the water. Finally, rinse the cooked tapioca pearls in cold water and use as your recipe directs.